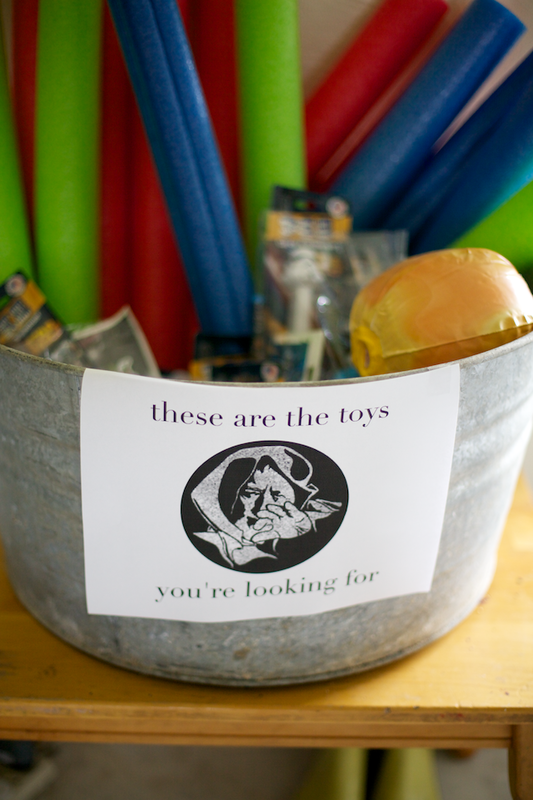 Star Wars and the TMNT were totally a part of my childhood, so I loved throwing this birthday together. Too awesome. 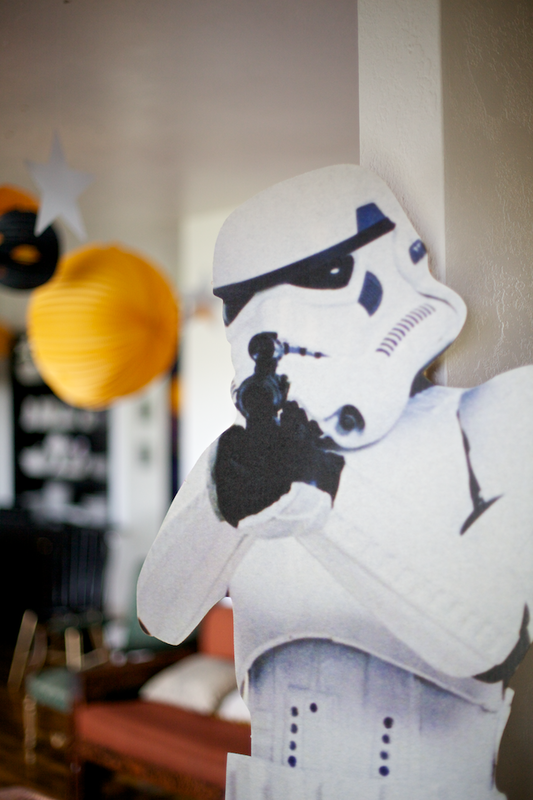 I mean any reason to buy a life sized storm trooper cutout to put in your room afterward, right? Guests were greeted with a blaster in their face. Excellent! 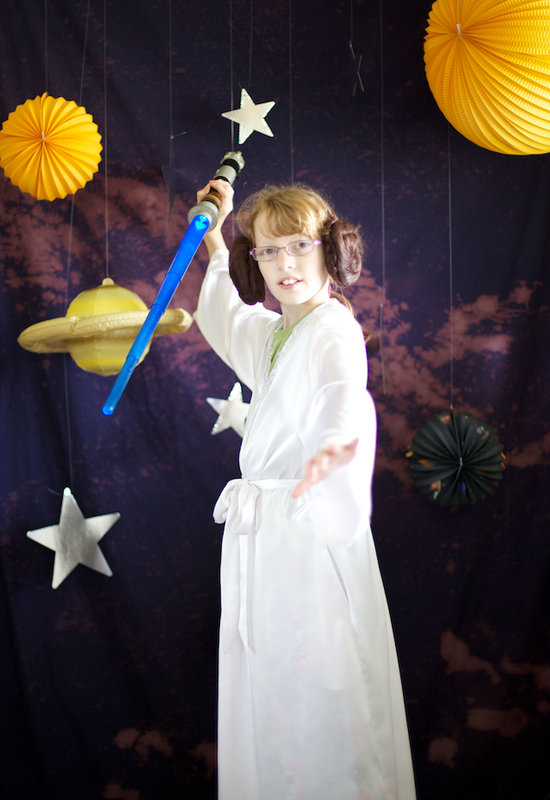 And made the ever-popular pool noodle light sabers, which the kids had a blast hitting each other with outside. 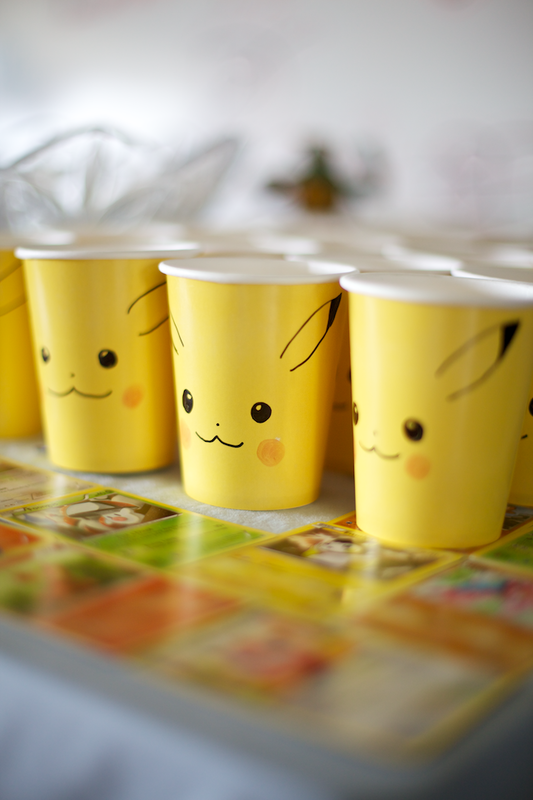 I hand drew Pikachu onto a million yellow paper cups with a black sharpie. He's so cute!! But the plates were my favorite. DUDE. Death star with a pokeball. I mean, someone out there gets this, right?? I'm amazing!! 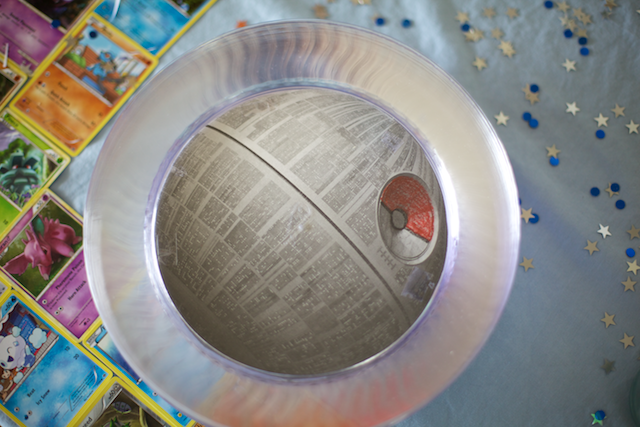 :O) I printed out a death star image and colored in the pokeball with crayons then double-stick taped it to the bottom of clear plates. And HOW COOL IS THIS CAKE. I can't believe I made this! 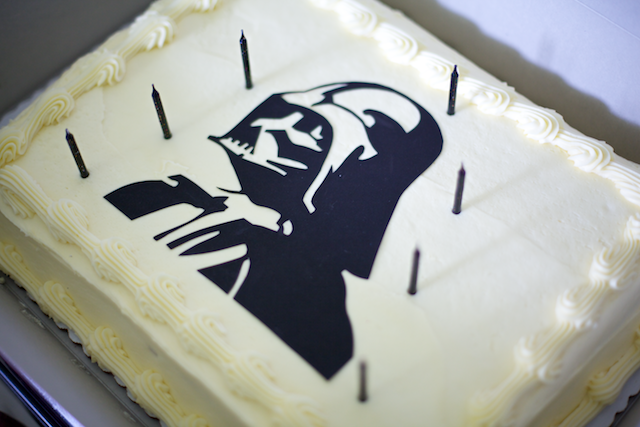 I mean, not the actual cake, yuck, no, but the Darth Vadar silhouette. I cut it out of an edible sugar sheet with my little craft knife. It turned out so awesome!! 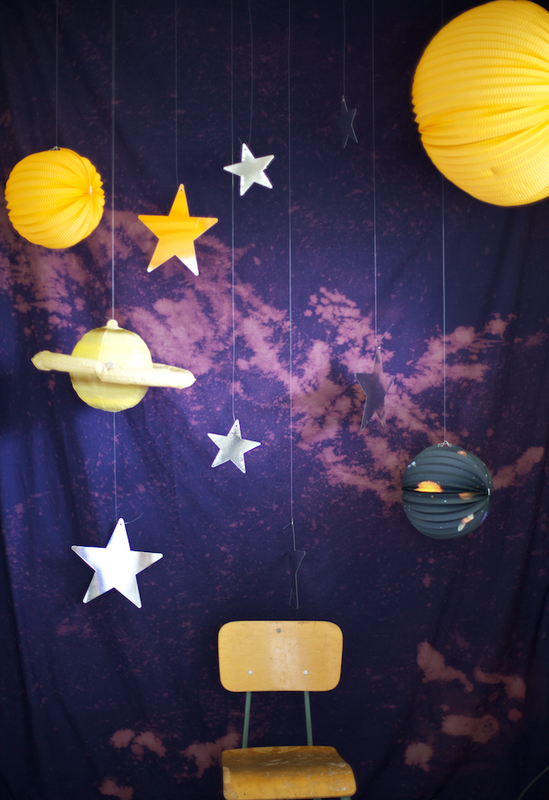 I sprayed a blue sheet with bleach for a galaxy themed photobooth. The kids dressed up in dress up things we had lying around. They were so adorable! 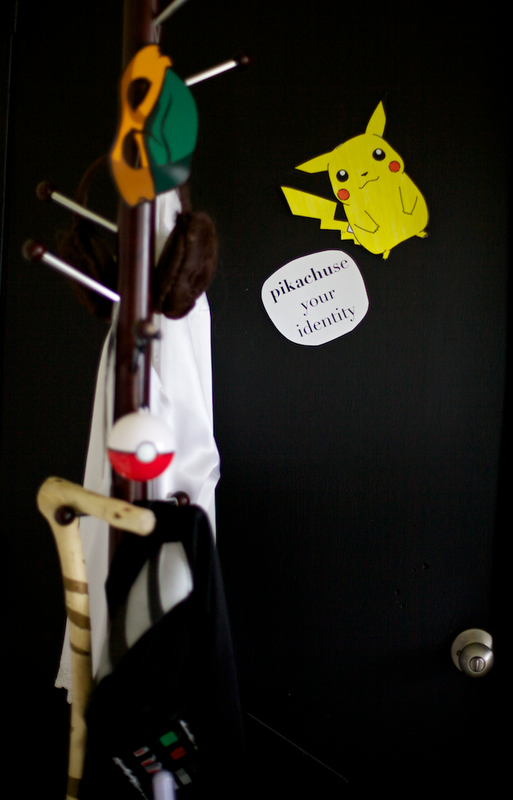 "Pikachuse" your identity...see what I did there? I'm hilarious! Seven years with my sweet Paige. What a lucky person I am. And I love that she's into whatever she's into. 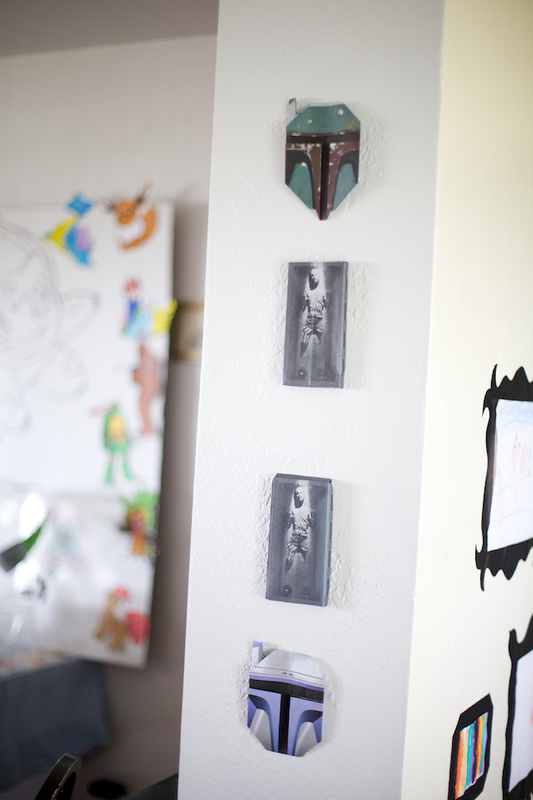 She would have loved a "Frozen" party or a tea party or a princess party, but what she really wanted was Ninja Turtles and Darth Vadar and Ash Ketchum, and I think that rocks. She told me the other day: "Mom? I think I'm a kind of a tomboy, because sometimes I just like things boys like. Skateboarding, tennis...meatloaf. Stuff like that." I don't think I've ever made meatloaf...? 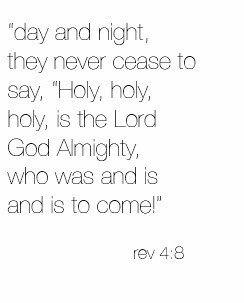 :O) Have a great night, friends. Happy early/late birthday to everybody! What an awesome party! We love all of that stuff too and it's so great that Paige does. Did she travel back a couple decades and mean Meatloaf? I think you did GREAT with the party and it even gave me a few ideas for the surprise party I'm throwing my husband next year. 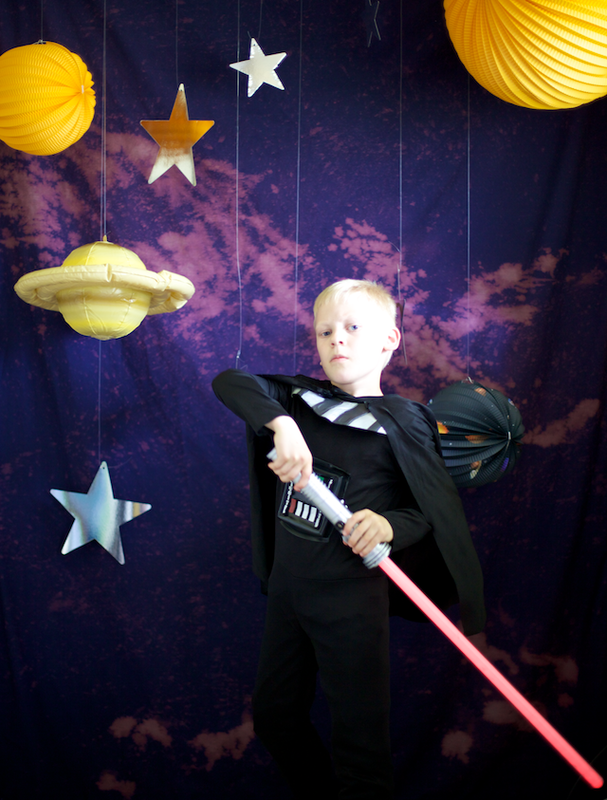 Star Wars VII comes out on his birthday and he is a HUGE fan. I can't wait! The plates are my favorite, btw. My daughter is going to freak out when she see's this! they haven't jumped on the star wars train yet, but pokemon is their obsession. 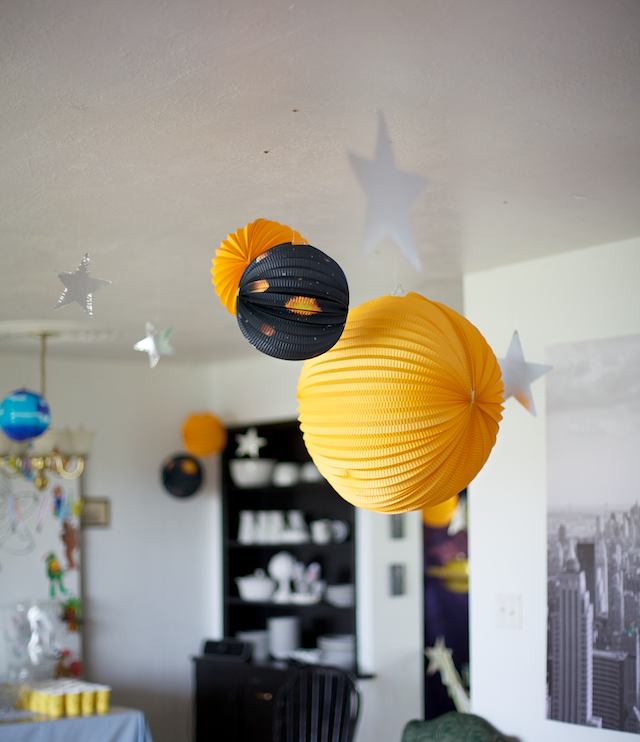 I think we could do a power rangers, pokemon wild kratts party :) we did outer space last year and I wish I had done your galactic sheet as a backdrop! brilliant Disney! What an amazing party!! 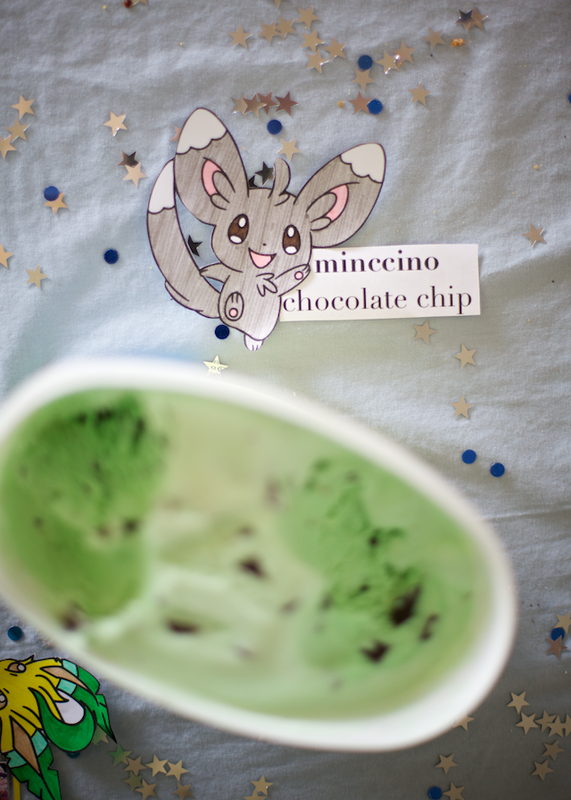 I love the starscape sheet backdrop and the Pokemon puns are fantastic :-) page is so lucky to have such a clever and fun mom! 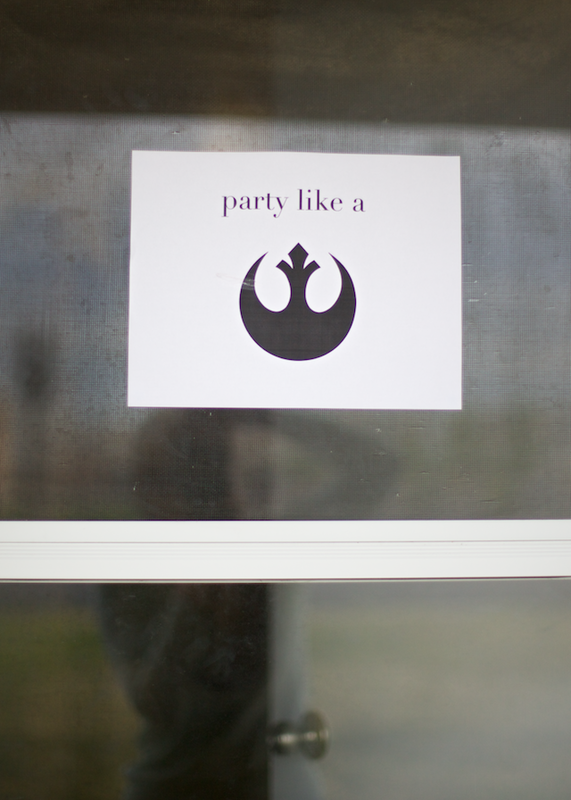 The force was strong with this party. Wow, the party looks amazing!! Love it! 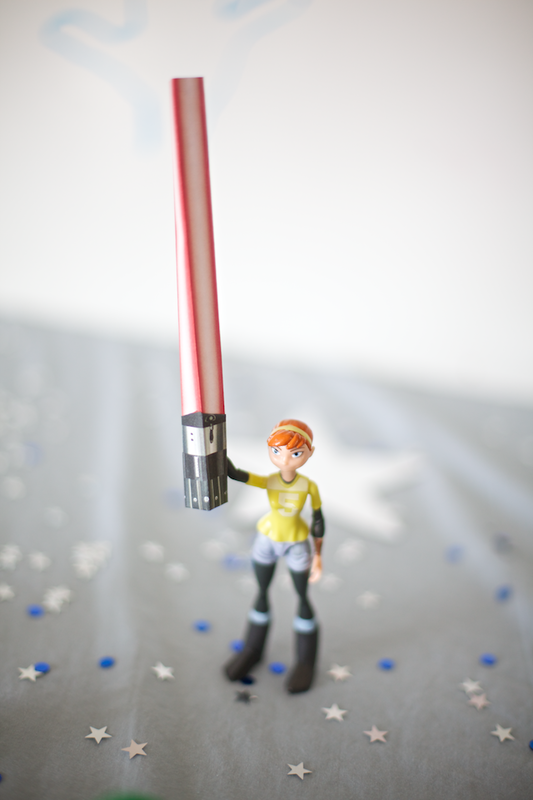 Your Darth Vadar silhouette for the cake is on point! 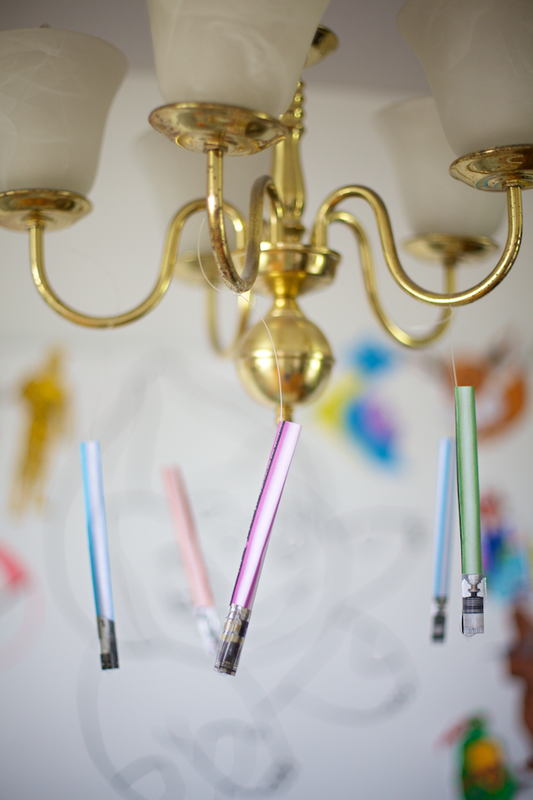 I need to throw a party like this for my husband :) We are newlyweds, and our wedding was on May 4th (ya know, the unofficial star wars day) so we incorporated a few Star Wars related things into our wedding. Amazeballs. My kids would go nuts. I am waiting for them to want theme mashup parties. So far it's just been one interest per year. This is fantastic. Disney! wow. this is way too Cool!! 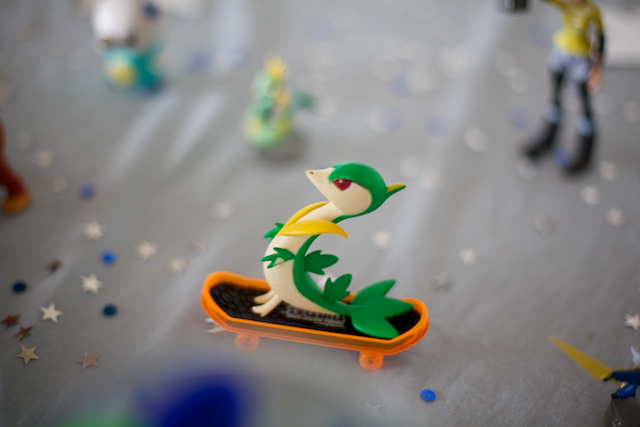 I think a Teenage Mutant Ninja Turtles-Star Wars-Pokemon themed party is the best party ever. It looks like you had a lot of fun doing it, too. Fantastic! and congratulation Paige! Awesome! I loved the plates... What a clever idea. 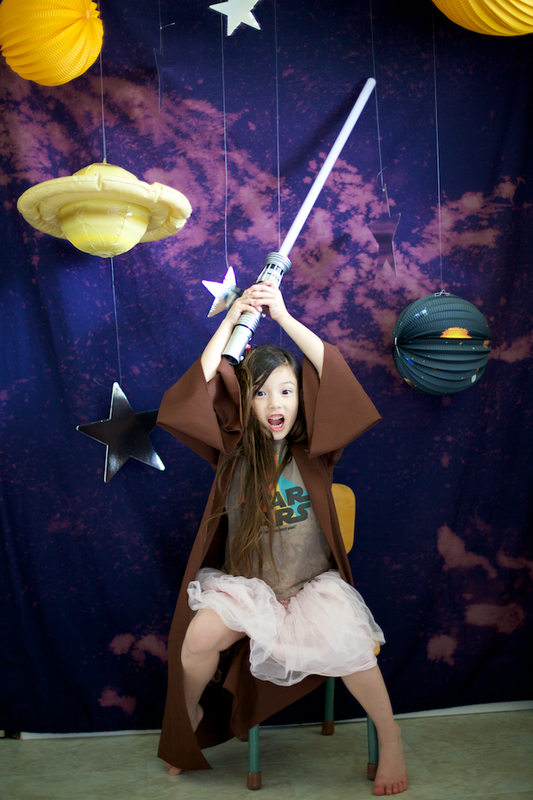 And the cool photo booth! What a cool kid Paige is! Happy birthday! meatloaf! hahaha! oh man, paige seems like the greatest kid ever. 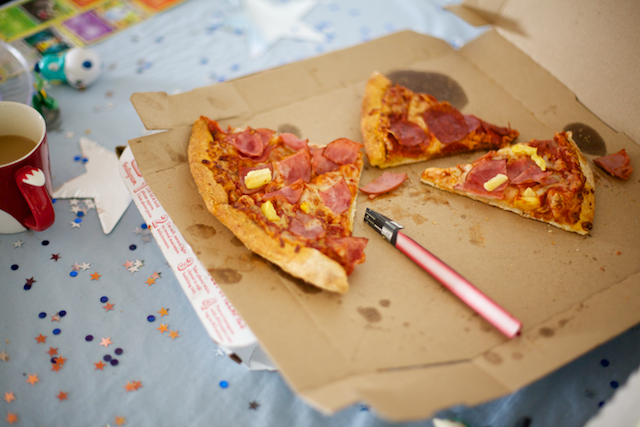 you're a lucky mama, and this is an amazingly awesome party. happy birthday, paige!! Love Love Love all of it! So something I would do too. Love it all, but especially the Pokemon stuff. 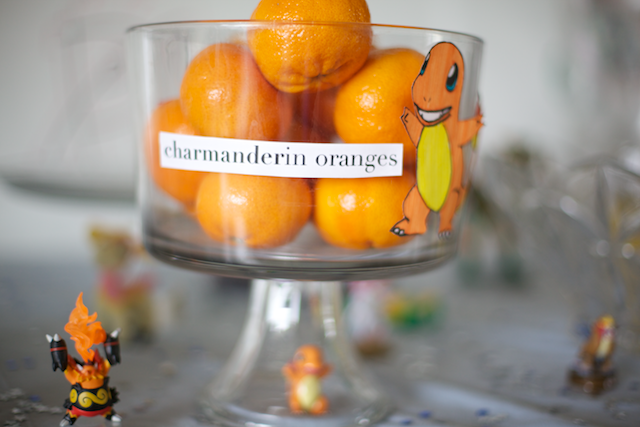 My daughter loves Pokemon (thanks to three older brothers) and she would love this party. She's also seven and claims to be a tom boy who loves pink. Such an awesome party! You are too much fun. I think Paige definitely meant "Meatloaf" the singer :-) Ha ha. 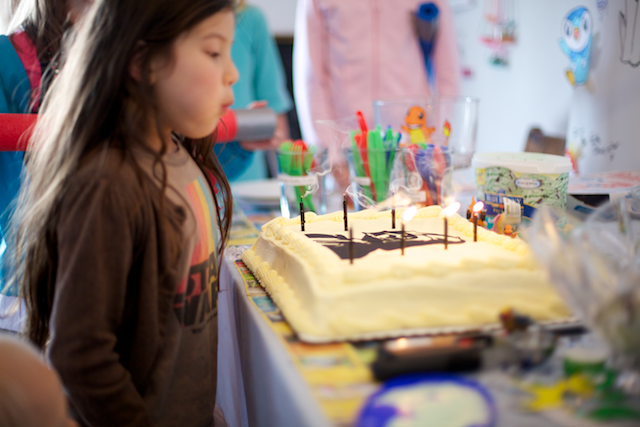 That sugar cut out cake top is incredible! You have so much talent for making "simple" things look truly amazing. I can see a LOT of work went into all of the bits and pieces and it's obvious it was appreciated by everyone on the day, as well as giving us some ideas as well! Looks amazing Disney! I bet she had an absolute blast! Happy Birthday Paige!